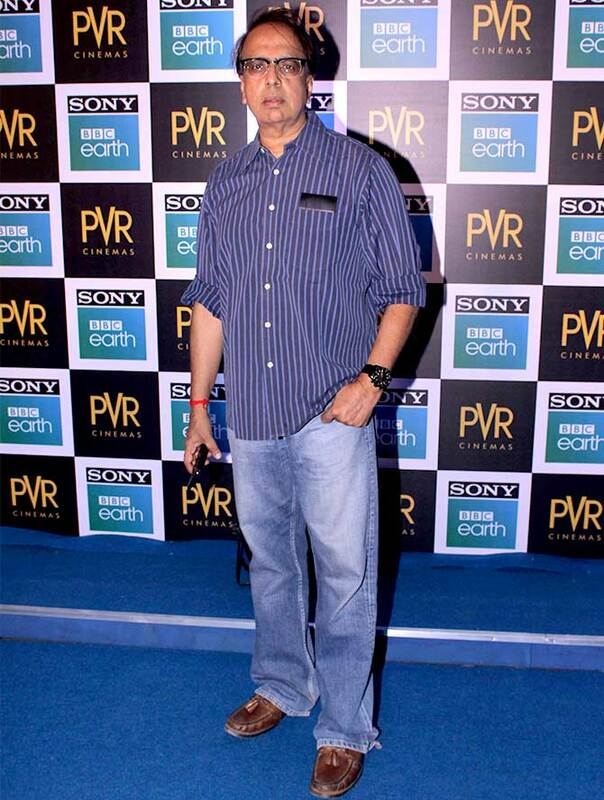 Rediff.com » Movies » What movie did Arjun take his kids to? 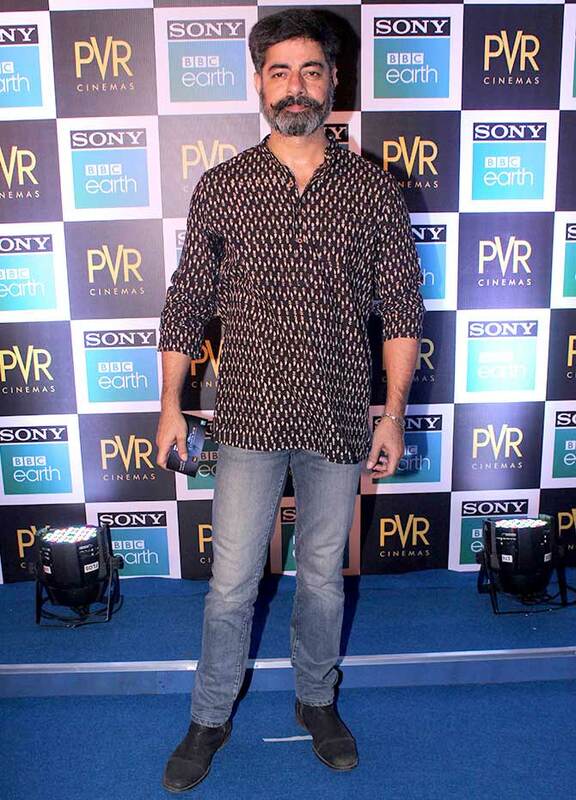 What movie did Arjun take his kids to? 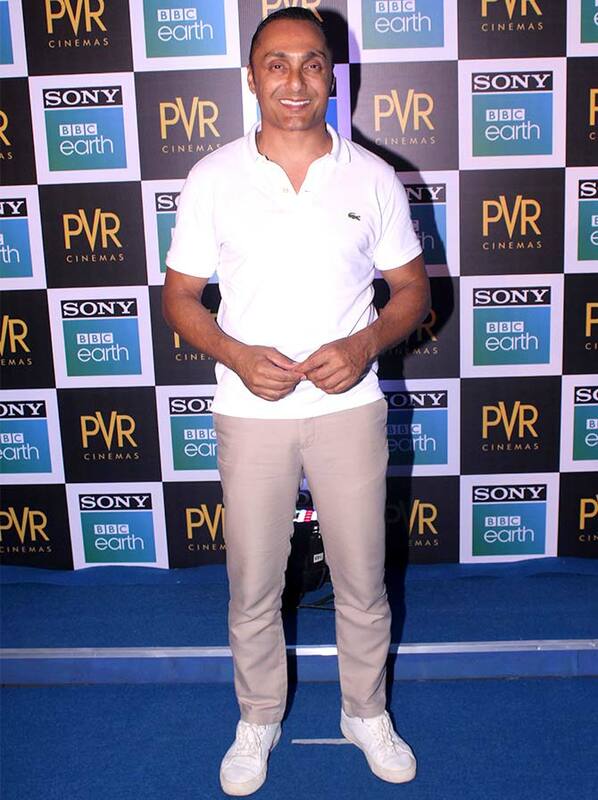 A special screening of Blue Planet II: One Ocean And The Deep was held at PVR Icon, Versova, north west Mumbai. 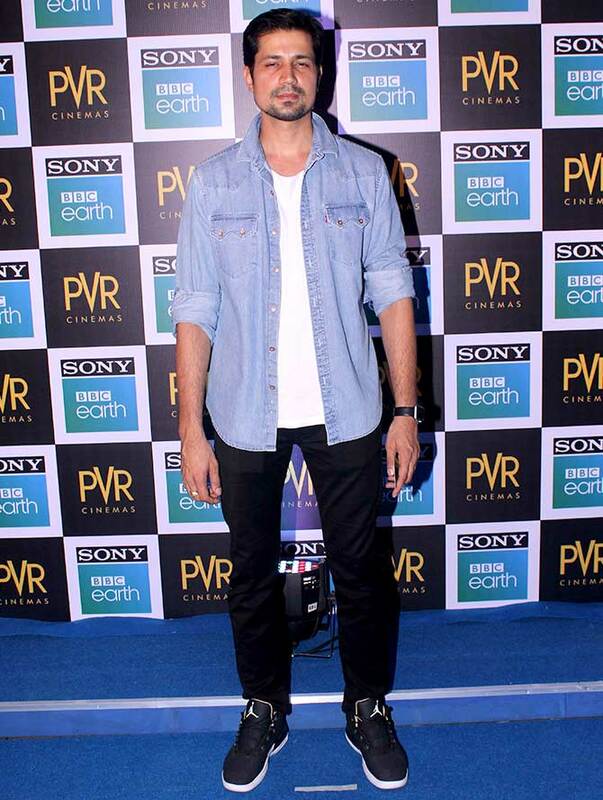 Narrated by David Attenborough -- whose elder brother Richard 'Dickie' Attenborough directed Gandhi -- with music by Oscar winner Hans Zimmer, Blue Planet II releases on May 18. Blue Planet II -- as it was viewed on British television -- consisted of seven episodes of an hour each. Only two episodes of Blue Planet II will be released in India. 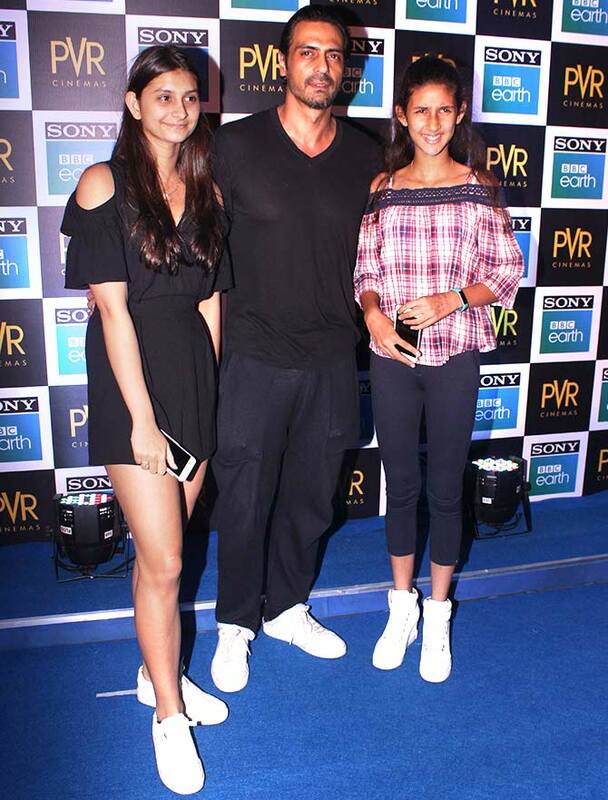 Bollywood celebs and their families watched the film. 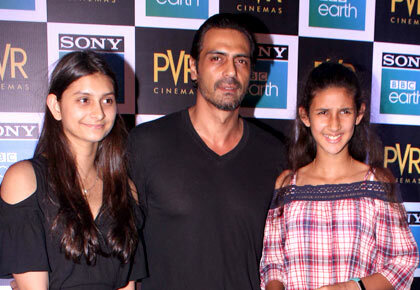 Arjun Rampal with daughters Mahikaa and Myra. 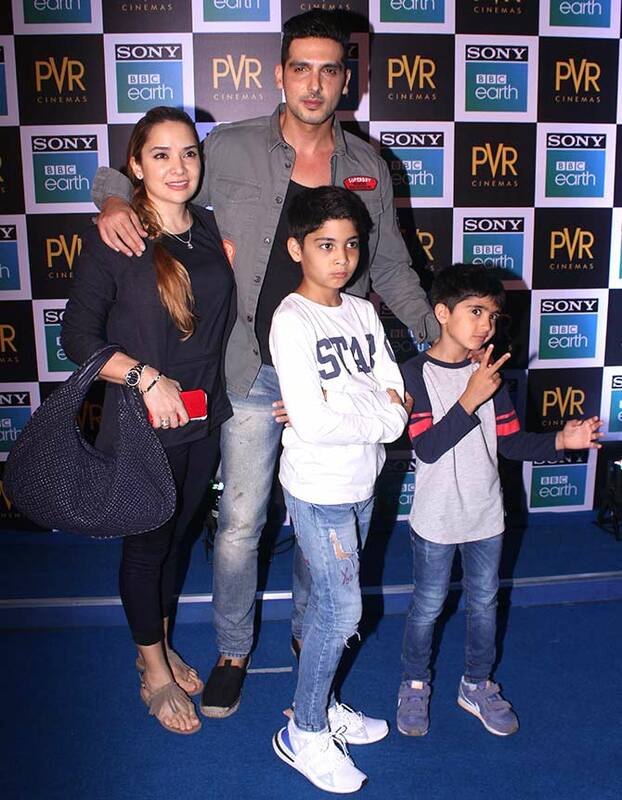 Zayed Khan with wife Malaika and sons Zidaan and Aariz. Kalki Koechlin and Vinay Pathak. 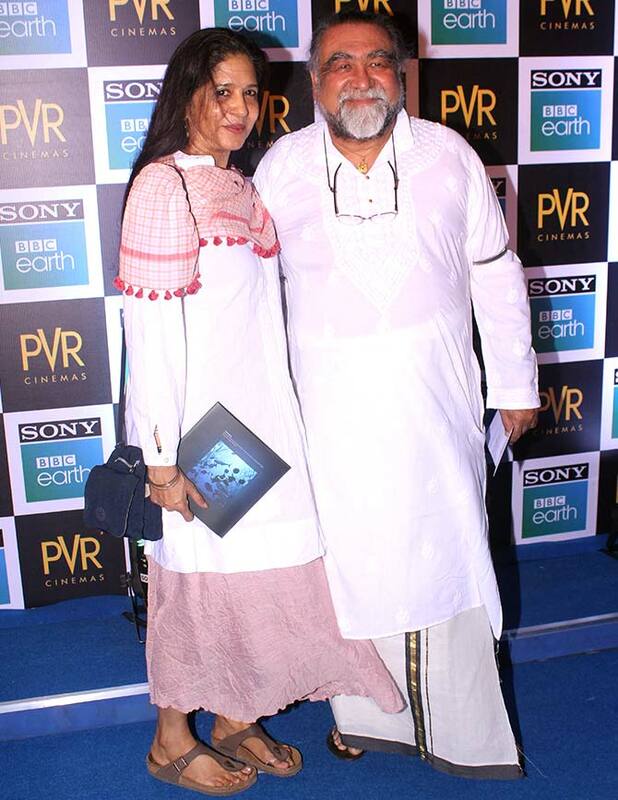 Prahlad Kakkar with wife Mitali Kakkar, founder, Reef Watch Marine Conservation and member of the governing body, Wildlife Institute of India. 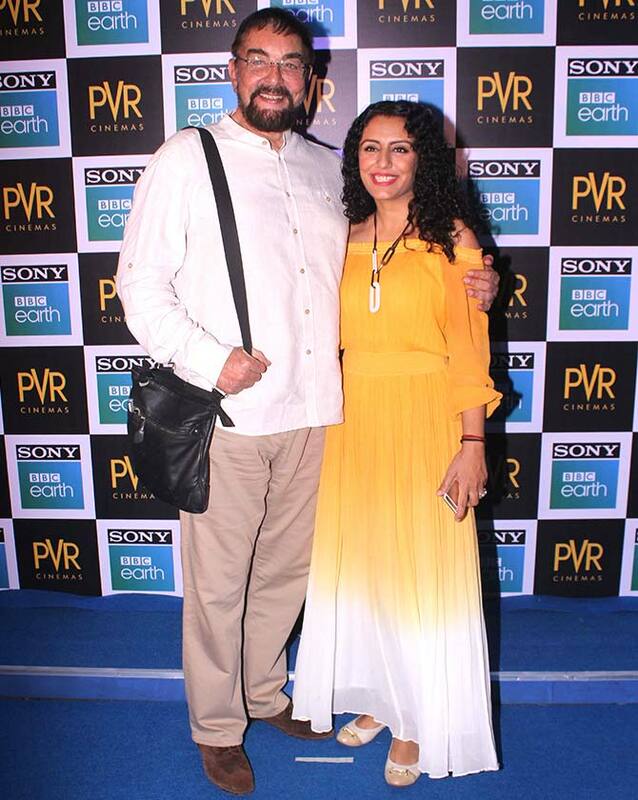 Kabir Bedi with wife Parveen Dusanj. Preeti Jhangiani with husband Praveen Dabbas.